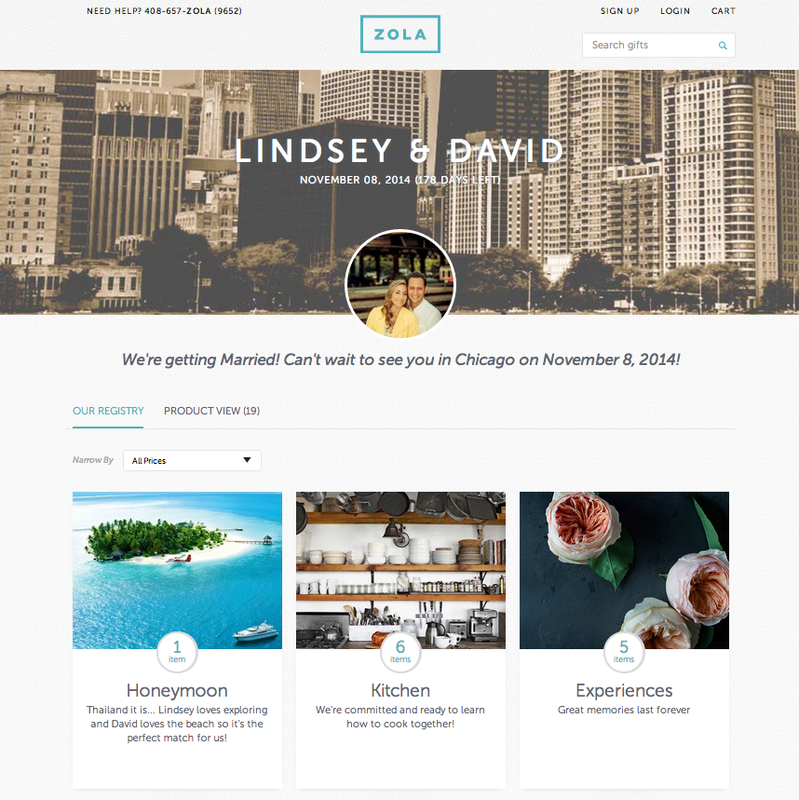 Today we talking about Zola.com: another fabulous and easy to use wedding registry that allows you basically to register for anything anywhere including a Honeymoon or other experiences! You can create gift packages and categories and guests can join together to purchase big ticket items. The layout is really super easy to use so if you haven't already picked a registry you should check out Zola!